There is no harm in wanting to make the world a better place. 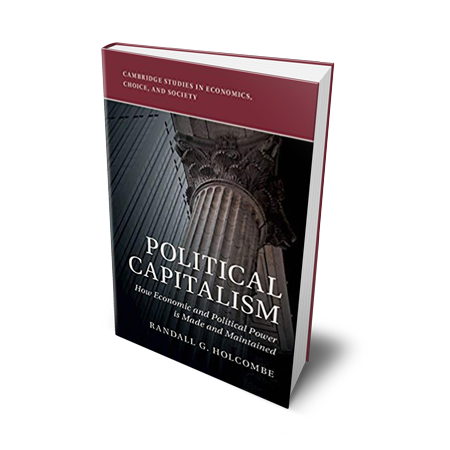 However, if in pursuit of your quest for progress an individual’s right to choose is compromised, then there is a real problem. But unfortunately, this happens all the time in the form of “ban everything” environmental activism. Austin’s made headlines a few years ago when it banned the use of plastic bags, a policy that has recently been reversed. And while many of these bans are justified under the guise of environmentalism—plastic bags do take longer to biodegrade than other materials—the fact of the matter is that this type of prohibition does little to improve the overall state of things, and serve to destroy individual liberty by restricting choice. The latest example of this comes in the form of a plastic straw ban, which is sweeping its way across the nation. The whole ordeal escalated rather quickly. At the beginning of July, Starbucks, along with other companies including American Airlines made the decision to ban straws. And while not all consumers were supportive of this change it was, at least, a voluntary decision on Starbucks part. But it wouldn’t stay that way for long. As it turns out, Americans have strong opinions about straws. Angry consumers were using social media to express their disdain for Starbucks’ new policy while the environmentalists became vigilant crusaders against the use of plastic straws. Celebrities joined the circus and began a viral campaign demonizing plastic straws and promoting reusable straws. And then the media got involved. A video showing a sea turtle with a straw stuck up his nose was spread far and wide as banning straws now became more about saving turtles. News outlets began sharing a statistic that claimed that Americans use 500 million paper straws each day. Of course, this outrageous number caused even more moral outrage over the use of straws which further fueled the campaign against them. However, Reason later found out that this number, which is absurdly high, was the result of a 9-year-olds estimation for a school project. Fifteen major news organizations had published this number as if it had been the discovery of environmental scientists. And yet, no one had bothered to fact check. As it turns out, no one really knows how many straws are used each day and according to one Vice article, it doesn’t really matter. On a grand scale, stopping the use of plastic straws doesn’t do a whole lot to protect the environment. But according to the Vice article, banning plastic straws is a gateway ban that will help lead to banning more plastic products down the road. And while Starbucks enacted this band voluntary, the hype against plastic straws has resulted in cities stepping in to control consumer choice. City councils around the country have now started banning the use of straws. In Seattle, a business offering straws is subject to a $250 fine. And while this sounds absurd the city of Santa Barbara, California has taken this ban to extreme levels. If businesses operating within Santa Barbara are caught with contraband plastic straws, they are subject to $1,000 fine and six months in jail, per straw. 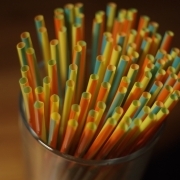 Each straw is seen as its own separate infraction, so each individual straw comes with its own set of penalties. And while Santa Barbara is the most extreme situation, many other cities have enacted their own bans on plastic straws as well. It is one thing to have Starbucks and other private businesses make the decision to ban a product on their own, after all, consumers are still free to take their business elsewhere, to a coffee shop with straws, for example. But when governments step in to control consumer choice they squash the individual’s right to choose. But just because someone is against a government ban on plastic straws does not mean that they are inherently anti-environmentalism. Individuals should be free to make their own choices, but a preference for a plastic straw over a reusable straw should not make someone a criminal. If environmentalists want to enact real, lasting change, they should take a lesson from the market and use incentives. Starbucks and other private companies are free to ban plastic straws or embrace them, and consumers have the right to decide which companies to support. But imagine how much stronger of an impact Starbucks could have if they used incentives to promote environmentalism. Instead of a ban, perhaps they could create a reward system that offered free drinks every now and again to those who routinely refuse straws. As an avid straw user myself, I would gladly use a plastic straw alternative if I was incentivized to do so. And this is just one solution. The market is full of possible solutions, but the government only really knows how to use force to encourage individuals to adopt a certain behavior. There is nothing wrong with environmentalism unless it is forced on people using the threat of force, like jail time. If you want to really to encourage people to do stop using plastic straws, incentives are proven to work. We need not go around banning everything to obtain the world we want to live in. By using market forces to encourage behavior we stand a better chance and really creating substantial change.